What features does your business need for payroll and human resources? Have you given any thought to which features you need, or just the ones you want? There’s no point implementing new business software if doesn’t include required features. Don’t make the mistake of buying a new program that only delivers what you want, not what you need. Any payroll and HR solution should be future-proof and updated frequently. Ensure it is compliant for your needs and includes relevant taxation features. In Australia and New Zealand there is a GST, whereas in other parts of the world it’s called Sales Tax. Some software programs can change the terminology to suit, but others cannot. One recent example that is specific to businesses in Australia is Single Touch Payroll. Single Touch Payroll (STP) was first initiated in July 2018 for businesses with 20 or more staff. In July 2019, STP will be mandatory for all businesses in Australia. Read our definitive guide to get the latest information! Some larger payroll companies such as MYOB and Xero were slow to offer compliance. These large companies command so much market share that they need to dumb down features. This in turn impacts how difficult it is for them to service a growing business. STP has been one of the largest changes to the payroll structure in Australian business for a long time. It is only one of the changes that could impact how SME’s run their business in the future. Make sure you find the most suitable HR and Payroll system for your business with thorough research. Create a check list of features that you need, features you want, and features you’re curious to know more of. Think about your overall business management software and how it’s helping you grow. It’s vital to your business growth that this list includes everything you need. If you miss a feature here, you might buy a solution that doesn’t meet your business requirements. Take the time to make sure you cover every possible issue. This list is the most important, so make sure you cover every scenario now and into the future. It might include PPL or other employee entitlements. This list will include features that help your business, making it more efficient. You may be able to use software that doesn’t include these items, but it can be easier to compare against others. This is also a good list to see what value the program might be to your business because it does include them. 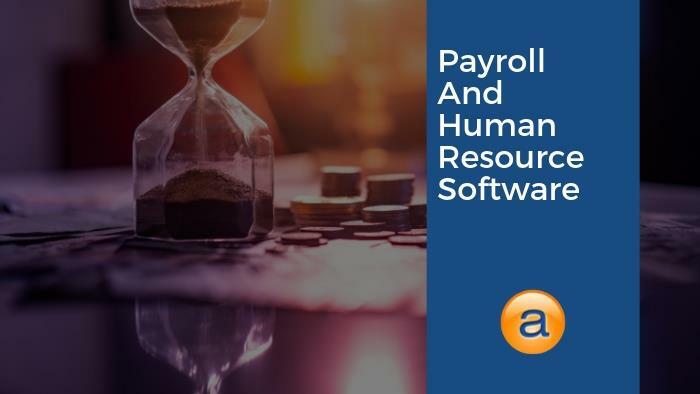 As you research Payroll and HR software, you will come across features you have no used before. Write down the feature and any questions you have about to it. As you become more knowledgeable through research these might also become more important. Move these items to the list of things you need or you want as you learn more about them. Accentis Enterprise is an ERP solution to manage your entire business. One of the most important modules included within the software is a Payroll and HR manager. Being a fully-integrated solution, Accentis Enterprise is seamlessly linked to other modules. This means that time and attendance data is available as soon as it’s entered into the database. Payroll software ensures that you pay your staff for the work they have performed. By linking to other modules that record the time, this minimises mistakes. Time worked by staff gets recorded and reported on through Manufacturing, Job Costing and other modules. Why would you use a payroll solution that doesn’t offer these features? Accentis Enterprise includes many features as standard that increase usability of the software. Although feature-rich, it’s very user-friendly and simple to operate. Take a look at some the abilities Accentis Enterprise has below. The features listed above are only scratching the surface of what’s available. Many different options help make Accentis Enterprise a premier choice for SME’s. There are powerful features available to make the management of human resources simple. Accentis Enterprise can comfortably handle many employee functions. Electronic documents get linked directly to HR records for any business circumstance. Human resources are also able to be linked to many pay runs. Warnings become triggered when an employee is over their leave entitlements. It also includes a powerful yet intuitive leave accrual calculator. Specific employees can be protected and only viewable by system administrators. The system also allows for photo ID of HR record, as standard. Accentis Enterprise is a powerful, intuitive and feature-packed payroll and HR software solution. Advanced features and seamless integration with other business modules offer your business more. Developed and supported right here in Queensland, Australia, we understand your business complexities. Finding a management solution to run your growing business just got easier! Do you really want to keep using multiple software products to run your business? Accentis Enterprise is fully-integrated and offers more than payroll and HR. You will have access to Job Costing, Inventory, Customers and Sales. Included also is Manufacturing, Suppliers, Fixed Asset & Maintenance. And don’t forget about our powerful reporting features! What are you doing to improve your business management software?